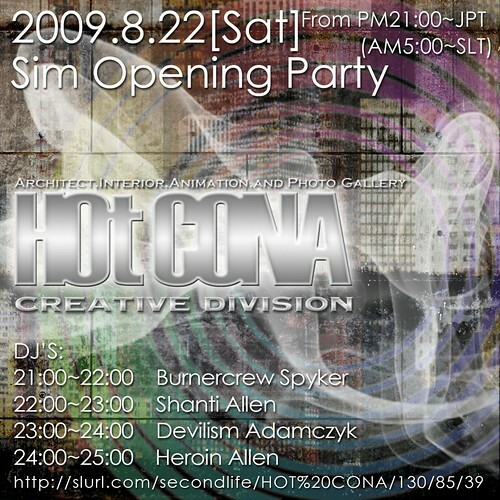 I do DJ Live at the opening party of HOT CONA SIM. Members who make a party go together are excellent DJ active in Japan and foreign countries. I am looking forward to play with a gorgeous member. I think that I become a happy party for everybody. Please come if there is free time!! 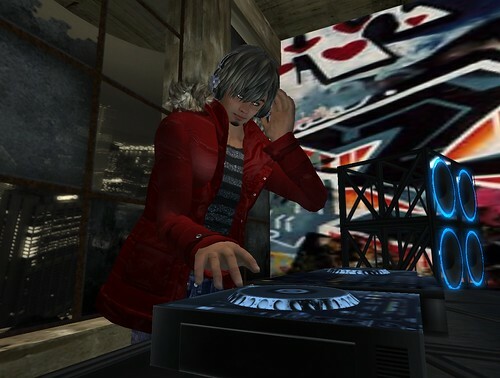 My name(SL avatar name) is Burnercrew Spyker. My Music's genre is Hard Techno/Techno.